And not just any books. . .
Our library is already stocked full of them, but my kiddos have been begging for more! There is a list of other “You Choose” books on the back of each cover, so they even request specific ones! These books are great because the students get to choose their own path to take in the story… AND within each path there are tons of different choices for them to make! I also love these books because they show different points of view on the same historical event. For example for The Attach on Pearl Harbor, you can choose to “join the Japanese attack force OR… serve as a U.S. sailor in Pearl Harbor OR… care for wounded sailors as a nurse on shore.” Everything in these books actually happened to people, which is great because it makes them even more historically accurate. 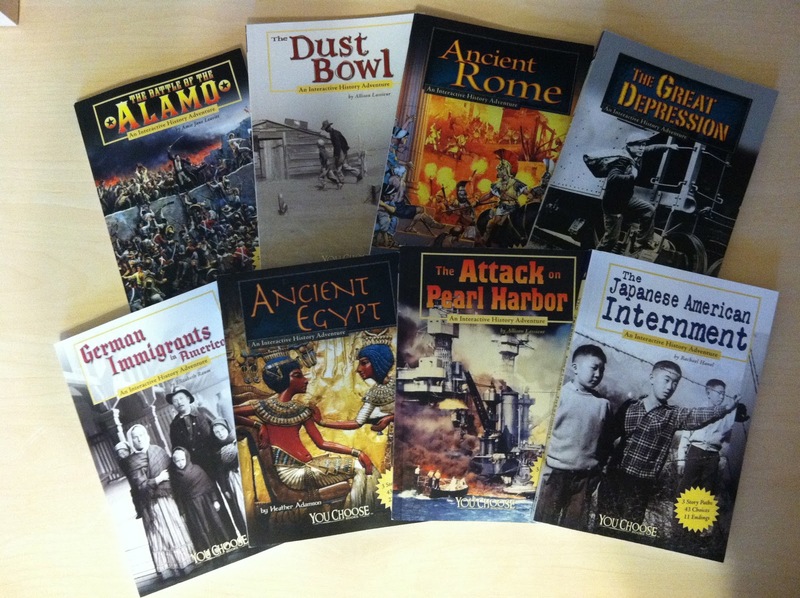 These books are a quick read for most of my students, but they get so much wonderful historical information out of them and they love being able to be in control of their own adventures. The books also include a lot of real pictures, newspaper headings, etc. with captions describing them. I can’t wait to bring these books into class tomorrow! I know my kiddos are going to be super excited! I also ordered two picture books. 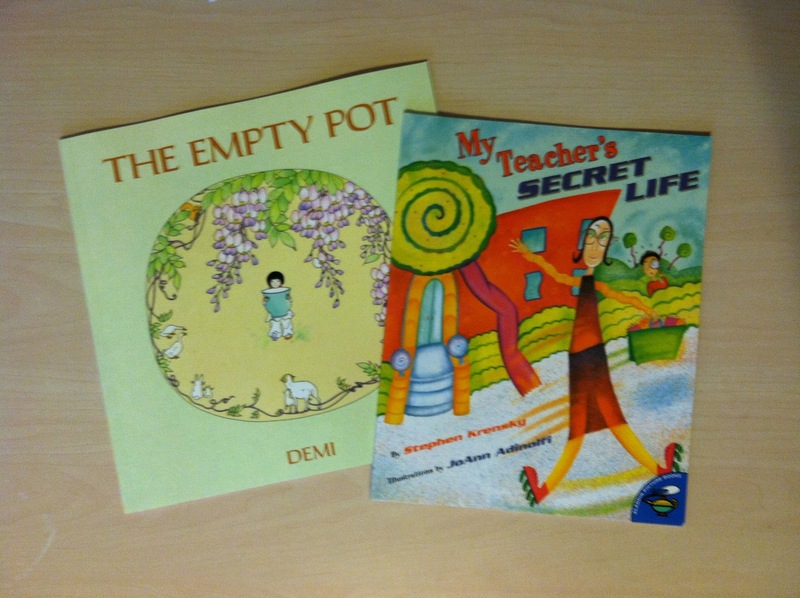 The first book is The Empty Pot by Demi, which Barbara from The Corner on Character recommended to teach about trustworthiness. I’m excited to add this one to my Character Education booklist! 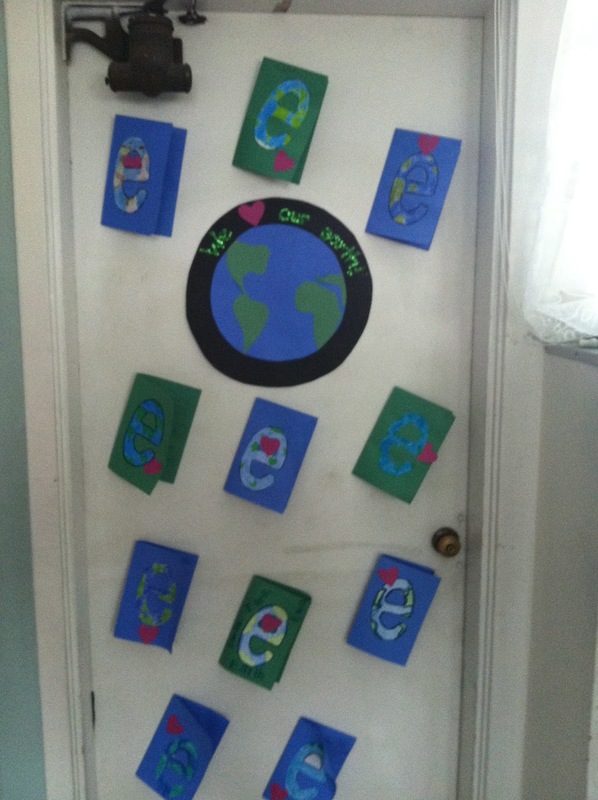 I also wanted to share what my kiddos did for Earth Day, which I got from my AMAZING friend Tara from 4th Grade Frolics. 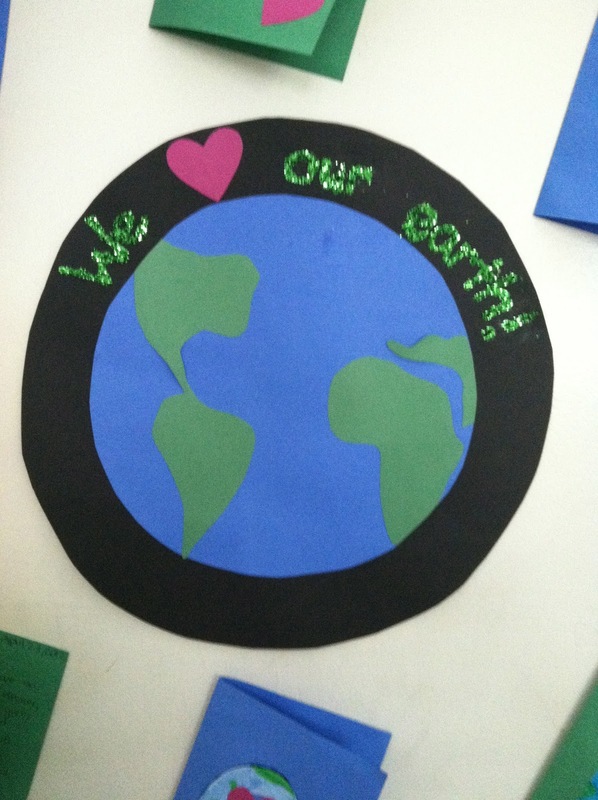 They wrote letters to the earth saying what they would do to help make it a better place, not just on Earth Day, but EVERY day! It looked neater when I first did it, but of course, I set a poster right. on. top. of. it! So now it’s a little smeary. And last but not least, we went on one of the most amazing field trips I’ve ever been on last Tuesday! Because we are studying the California gold rush, we went to a place called Indian Hills camp where we spend the entire day (9:00am until 8:00pm!) living the gold rush experience! Students were assigned roles as real people from the gold rush, and were given $250 to start with. Most of them, of course, ended up with nothing at the end of it all. The people who were “immigrants” even got taxed extra and had to enter the dining hall through the back doors, not through the front like everyone else. It was a real authentic experience and my students had an amazing time! Here is a picture of one of our amazing leaders showing the kids how to pan for gold before they all got their own pans and started at it! Who doesn’t love playing with mud and water? LOVE interactive history books! Where did you order yours from? Did you get a package deal? Amazon has a 4-for-3 promotion going on right now, so I got 4 books for the price of 3 (just like getting one for free)! I usually like supporting my local bookstore, but they don't have all of these books in and I was anxious to get them as quickly as possible for my classroom since we don't have much of the year left! Now that you've had the books for a few days do you think they are appropriate for 4th graders? What guided reading level would you say they are? I'm wondering if my fourth graders would be able to read it on their own, or if it would be used as more of a read aloud. Thanks for any advice you can provide. These books are great for 3rd-4th graders. All of my 4th graders can read them, however they are easier for some than others. I definitely think these are great independent reading books because the kids can choose which paths they want to take, however you could have the class decide which road to take if you use it as a read aloud! For some of my lower-level readers there is some history-related vocabulary that I help them with from time to time, but typically they read through them independently without trouble! Hope that helps!